Disclaimer: This is a sponsored review by Samplestore. Other than product information provided by the media press kit, all comments on the experience and first impressions of the product(s) are expressly mine, and not in any way influenced. Hello and happy 2017! 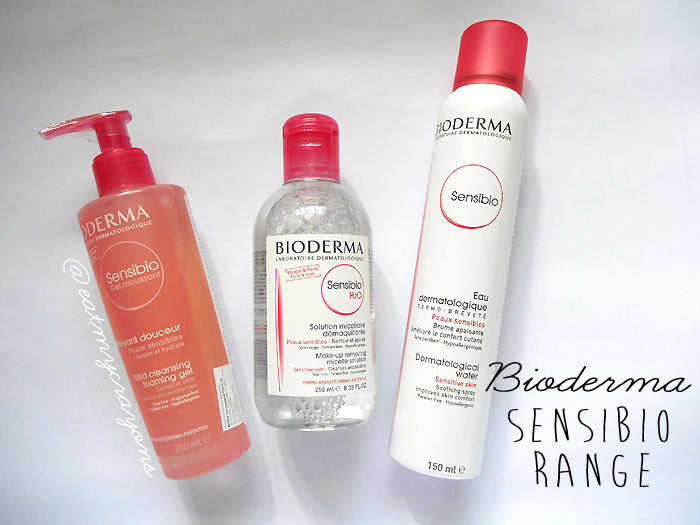 Today I have a review courtesy of Samplestore and Bioderma, on the new Sensibio range of products. 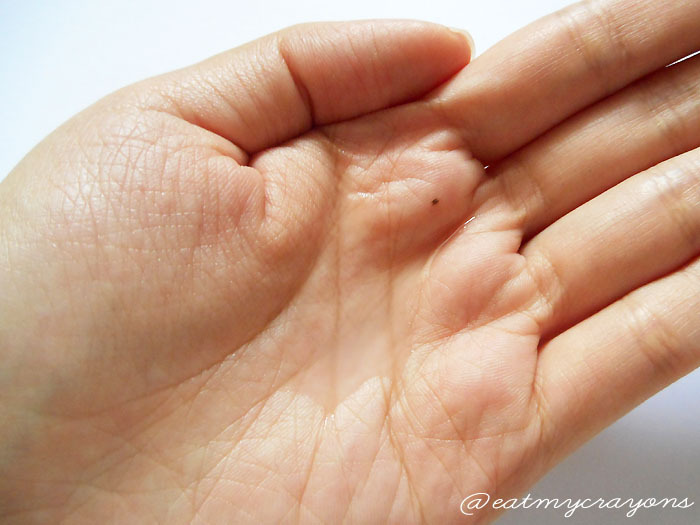 If you have sensitive skin, then heads up this post is for you. 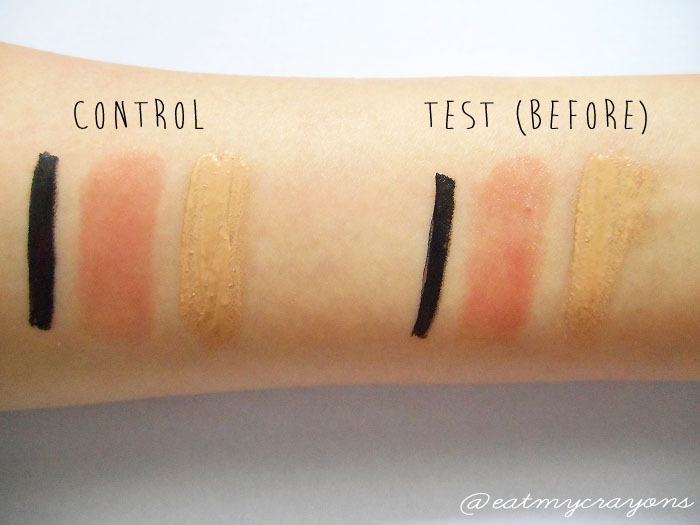 How did these products perform? Read on. 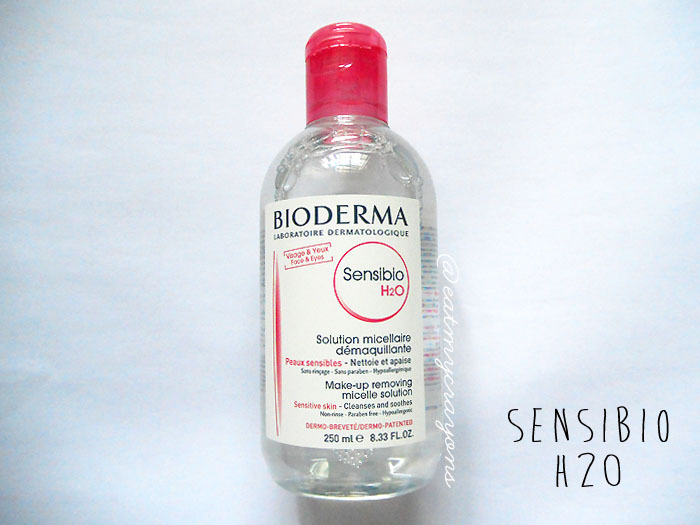 Sensibio H20: Bioderma Sensibio H2O contains unique biomimetic molecules* that are biologically compatible with your skin, offering gentle yet powerful cleansing and makeup removing efficacy. This innovative non-rinse formula has unique restorative properties that ensures skin feels soft and comfortable post-cleansing. 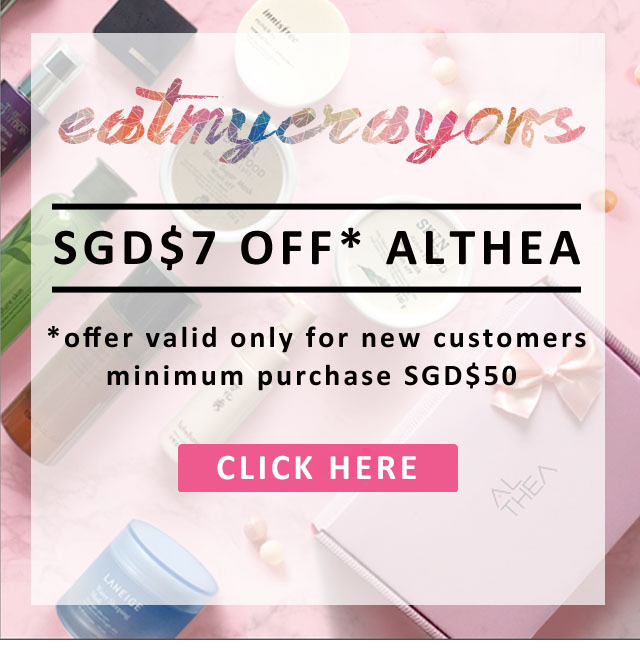 Can be used as cleanser and/or makeup remover over face, eyes and lips . and irritants for pharmaceutical use. To complement this wonder water, Bioderma has created 2 new products which helps promote at-home skincare regiment for sensitive skin. 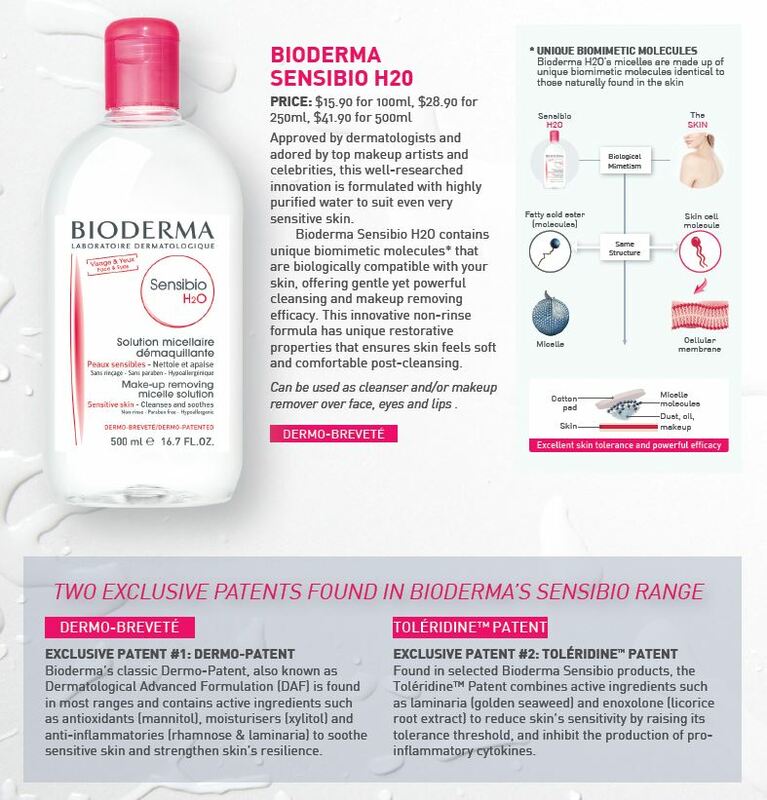 The Bioderma Sensibio Gel Moussant is a gentle foaming gel with lipid-restoring properties that hydrates and calms sensitive skin, while the Bioderma Sensibio Dermatological Water is a face and body soothing spray made of highly purified water enhanced with an ideal balance of minerals that calms skin while maintaining healthy skin cells. Where to buy them: visit your nearest Watsons, Guardian, Unity,and Robinsons. Also available at Tan Tock Seng Hospital and National Skin Centre. First up, the cleansing water. I love cleansing water above all other types of removers (oil, gels, you name it). 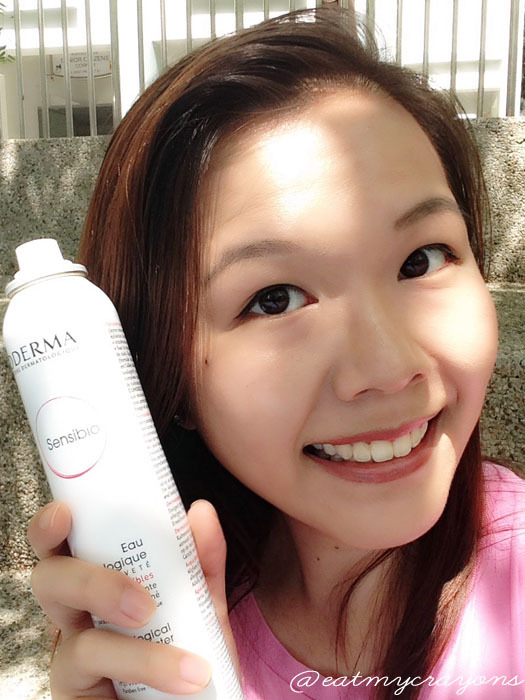 Being the first time user of Bioderma, I wanted to see the efficacy of removing makeup. How many cotton swabs it took to remove all the make up? – 2! My eyeliner is notoriously hard to remove, so when the result yielded from 1 cotton pad was a 95% removal, I was pleasantly surprised. It took another cotton pad to remove the remnants. 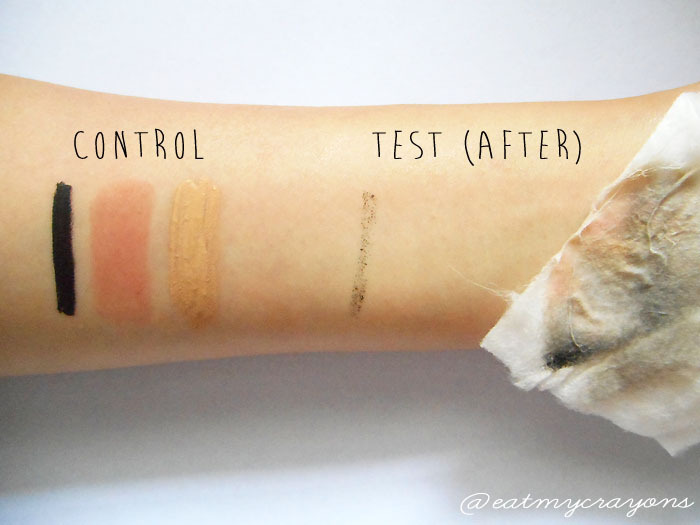 The lipstick and foundation were removed within the first cotton pad. Impressive! Experience: After removing all the makeup, I ran a clean cotton pad soaked in the H20 to double cleanse. After that was done, I felt that my skin was refreshed and did not feel sticky or oily. The packaging’s flip top cover allowed me to dispense as much product as I needed, with minimal wastage. And, it helps that the bottle is transparent so I can see how much liquid is left. Next up, the gel moussant. Have I talked about the colour theme? I like how each product has it’s own bit of pink. 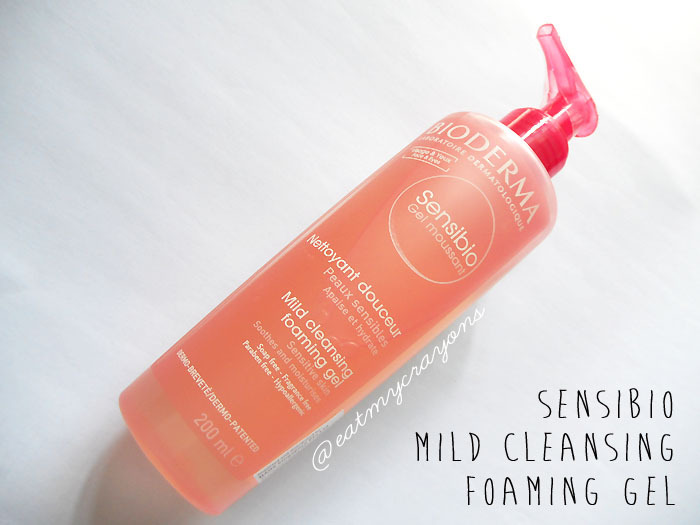 The foaming cleanser comes in a translucent pump bottle, and likewise allows you to see how much product you’ve used. Lastly, the dermatological water. 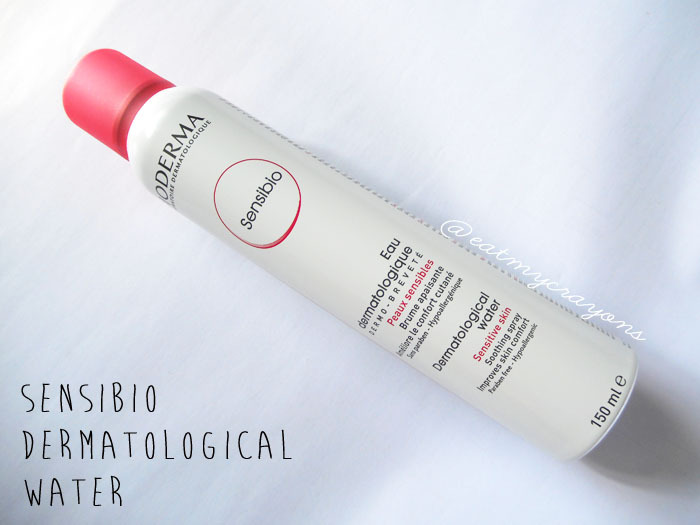 I have previously used face/body sprays before, this is the first time I’m using Bioderma’s. The water comes in a pressurized canister and with a squeeze of the nozzle a fine mist emits. I stash this away in my bag (it’s quite a big can to bring around), but because of the relief it provides from our recent scorching weather, I have no complaints. A spritz of this and I feel refreshed. Instant relief, if you ask me. For more information, visit Bioderma’s website. ← REVIEW: Heidi’s 2016 Beauty Picks!